There are tons of applications out there to help make beautiful cards but like many people, I don’t have any installed, and don’t prefer those larger programs. 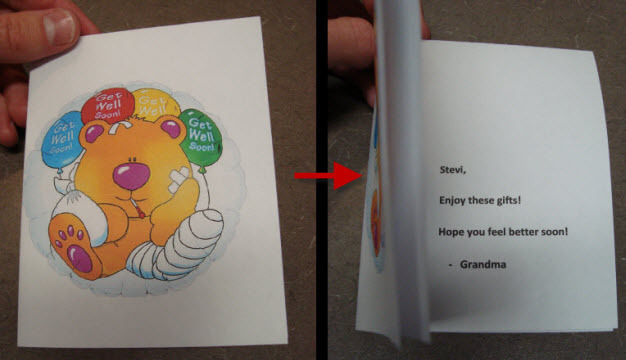 Here’s a quick way to use MS Word to create a simple greeting card or note. 1. Find a photo to match your needs. Visit images.google.com and search for any key word. Example: Birthday Balloons. Click the image to enlarge, then right click it and choose copy. 2. Open MS Word (or Open Office or other document editor). Right click anywhere and choose paste. Here’s a video demonstration. 3. Rotate the image upside down. Video demonstration. NOTE: Some images may not be licensed to copy or reproduce. Check the image source’s copy right notice.